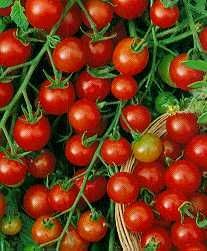 The 1oz fruit is produced on upright plants grown staked or caged without pinching. Indeterminate. Verticillium and Fusarium Wilt Race 1 resistant.